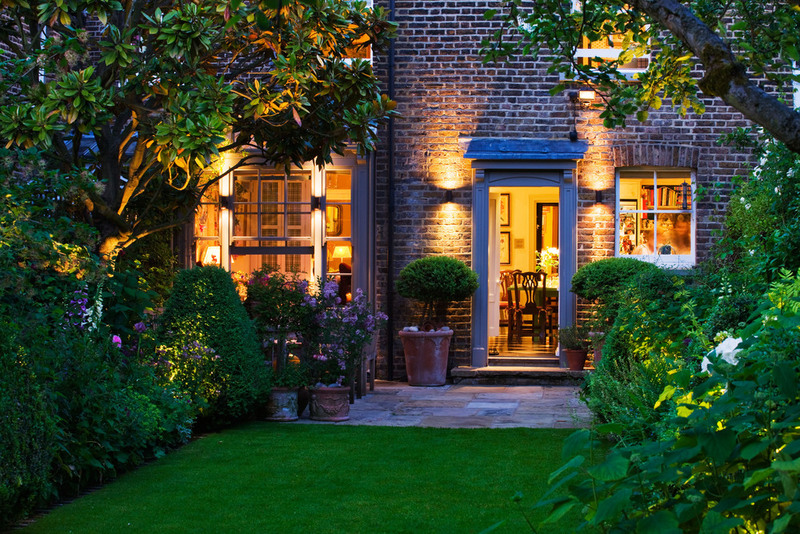 Butter Wakefield Garden Design offers a very personal and unique service and creates timeless and enchanting spaces both commercially and residentially in London and beyond. Having grown up on the east coast of America with a love of dogs, horses and all things outdoors Butter quickly realised how much she appreciated beautiful surroundings which ultimately led her to her passion for gardening. 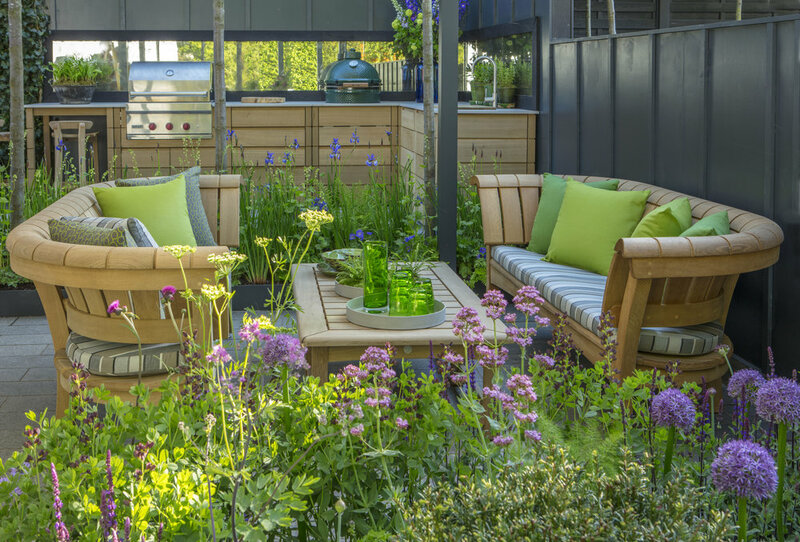 Can you tell us a little about the beginning of your career choice as a garden designer and the steps you took to become qualified? I started my post university working life at Christie’s New York where I was surrounded by a vast range of beautiful objects, furniture, porcelain, jewels, carpets and fine art. I adored my years there and first learnt a deep appreciation for all manner of art and design. After several years working there, I met my English husband, who worked in finance, we got married and returned to live in London in the early 1990s (now since divorced). I then worked at Colefax and Fowler in Brook Street for several years in between having my first and second baby. It was a beehive of design activity and I was surrounded by the tip top, very best designers in the country such as Imogen Taylor, Rodger Banks Pye, Chester Jones, Tom Parr and Emma Burns. I feel my time in the North Room is where I was first properly introduced to the principles of GREAT design, scale, colour, pattern and the importance of texture. To this day, I still feel they are forerunners in the world of interior design in the UK and globally as they continue to blend so beautifully the old with the new, the traditional with the modern. I adored that special time there and the world of creative design. Interestingly, I use so many of the same principles today in my garden design practise that I learned over 20 years ago. But with two children to care for, I thought garden design and running my own little business might suit me and my family better. It was a bit of a leap of faith, but understanding that knowledge is all, I enrolled in as many short courses as I could in and around the children. 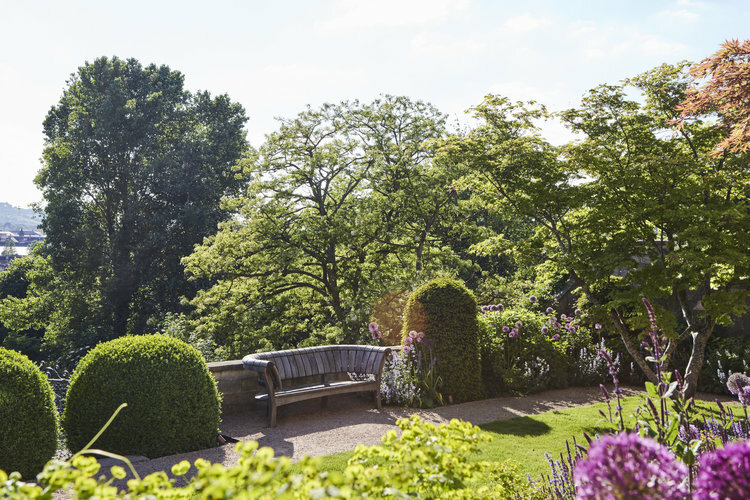 I have since completed two year-long diploma courses: Plants and Plantsmanship at the English Gardening School and Garden Design at The London College of Garden Design. I do also have the great good fortune to come from a long line of accomplished (albeit non professional) gardeners in the States, which is, no doubt, where my love for being outside and gardening initially came from. 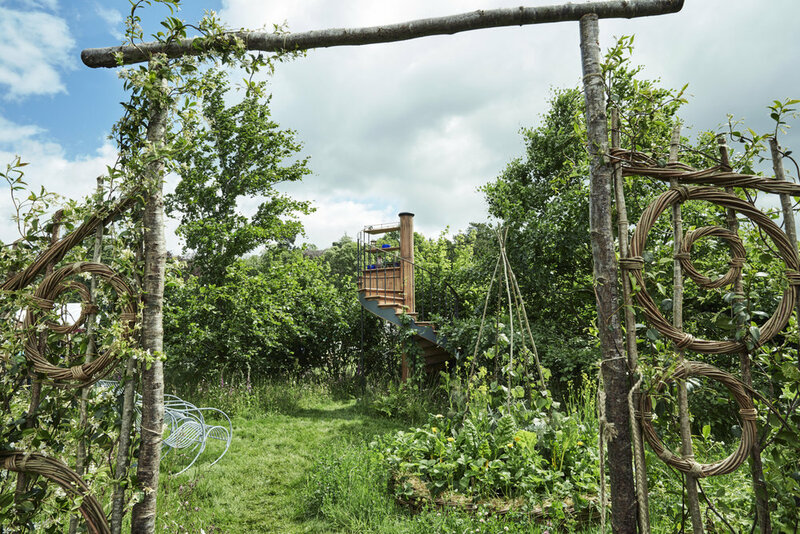 What inspires you most when it comes to the garden designs? It is impossible to assign one thing that inspires me most in garden design, but I find beautiful architecture both old and new truly inspiring, the proportions, the scale, the geometry, the way buildings are built and fit together, the different use of building materials, the mouldings, the door frames. I am fascinated by it all and I like to use various elements and concepts in my design work wherever possible. You manage the entire process from start to finish, but how do you begin the initial stages of a garden design with a new client? 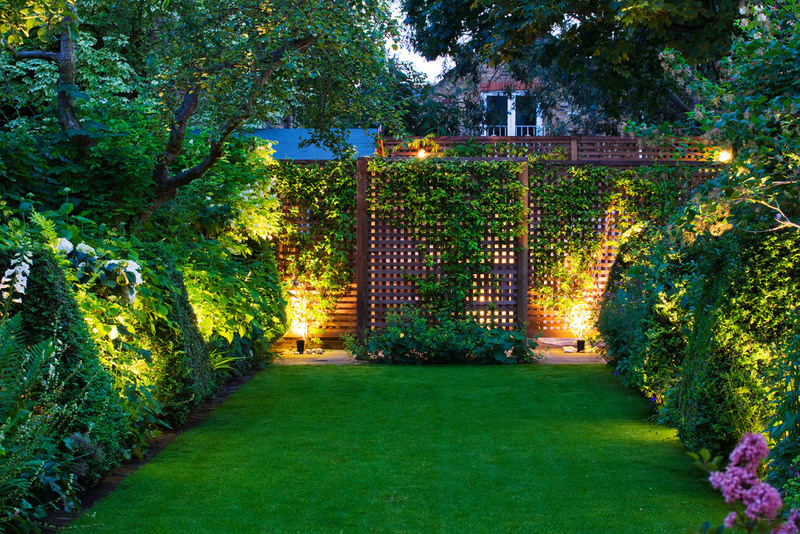 Once the design is agreed, I appoint the landscape contractors, oversee and manage the build, I source and recommend trellis if required, lighting, furniture, pots and of course I source and supply all of the plants and am personally involved in the planting. 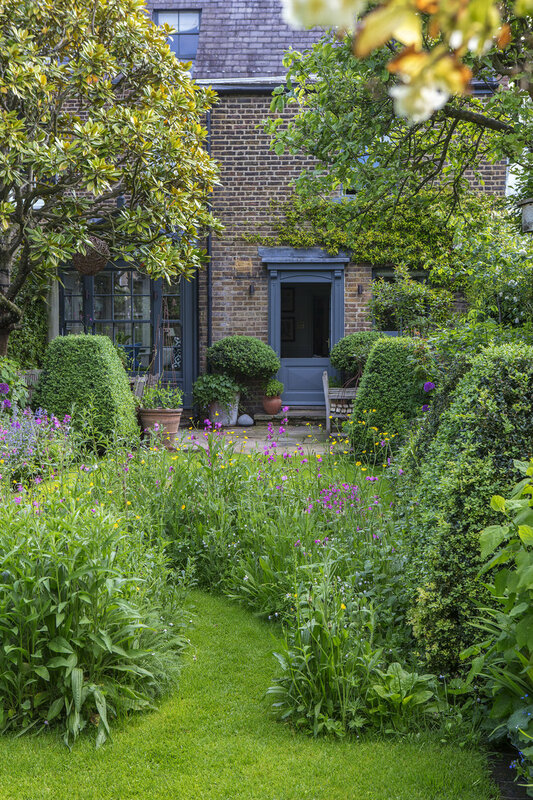 Do you have any advice for anyone who is looking to re-design their garden? And what sort of things should they think about prior to engaging a garden designer? The client’s brief is the most important starting point for any successful project. I imagine Humphrey Munson must feel the same. Getting clear concise instructions from the client on how they want to use the garden, when they want to use it is essential and what points in the year they are around to enjoy it or when they are away. The garden can then be tailor made to their unique specifications. I think it is also important to take into consideration the period of the house and its surroundings. A rambling Georgian manor house will have a very different garden to a Villa in Holland Park. What would be/ is your dream project and why? My dream project would be to create a magnificent country garden to surround, embrace and enhance that big rambling Georgian manor house. I adore working in town, but space is usually limited and access is always tricky, but ah how the country does call. 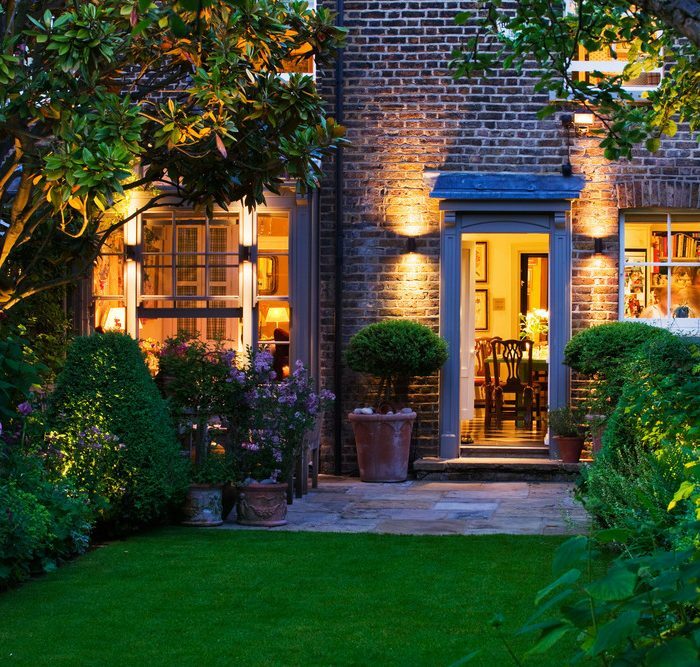 I love the idea of creating huge mixed borders and lovely long walks flanked by enormous clipped yew shapes and setting out terraces to catch the first and last light of the day, avenues of trees, winter borders, a swimming pool or pond, a tennis court discretely tucked away in cleverly thought out landscaping, a beautiful driveway and functional hidden areas to park cars… I do long for that! What advice can you give about choosing plants for a new project? What usually influences your choice? Plants are chosen firstly for their suitability to site, then form, texture, colour and shape are considered. Wherever possible I also try to include scented shrubs, climbers and perennials. 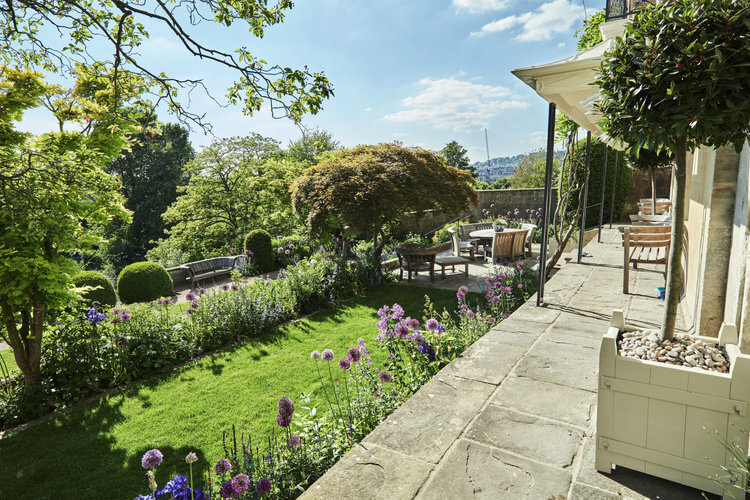 The planting of course needs to compliment the overall scheme of the garden and the architectural features and finishes of the house. For instance, I try to avoid using pink flowering climbers or roses on red brick houses. I’d opt for a champagne, buff or white colour instead. Can you tell us a little about the maintenance service you offer after a garden project has completed? I very rarely offer my services for regular maintenance purposes. Instead, we try to offer and appoint independent garden maintenance teams to be in charge of the gardens once complete. I like to be kept abreast of the garden’s progress and notified in a timely manner if there are worries or concerns. I insist that new gardens are supported with irrigation systems which helps to eliminate a lot of problems before they occur. Do you have any new exciting projects on the horizon in 2019? 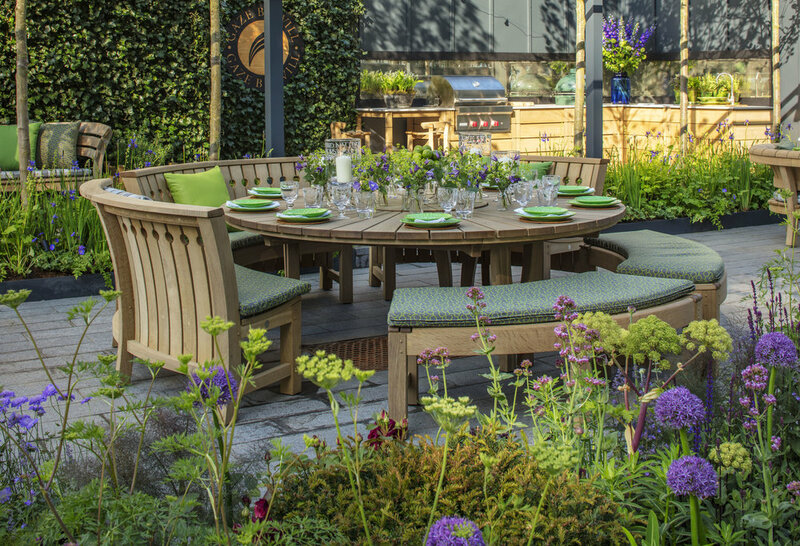 We won the coveted ‘BEST TRADE STAND’ at the Chelsea Flower Show this past spring which was wonderfully exciting for our dear friends and clients Gaze Burvill the luxury outdoor furniture makers. We are soon to complete one of the most exciting and complicated projects I have ever designed in Notting Hill, we will commence the planting phase of the project in the middle of February which we are looking forward to tremendously. A little garden I designed for a cottage in the Cotswolds will be appearing together with the interior of the house designed by Sarah Delaney in House & Garden next month which is always a huge thrill. We have also been short listed for the ProLandscaper Business Awards again this year. We were principal winners last year which was wonderfully exciting indeed. I am enjoying a wonderfully fruitful and rewarding Instagram account with a strong but decent following of 8240+ friends which I find captivating and inspiring! I recognise I have a marathon to run to catch up to you though with over 120K followers. BRAVO TO YOU HUMPHREY MUNSON! 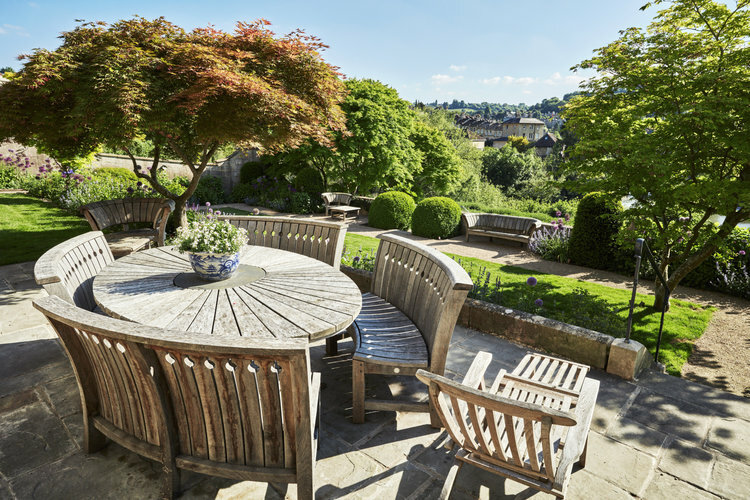 To find out more about Butter Wakefield Garden design or to make an enquiry, visit the website here.